About the Book: Vivian Lawson’s fantasy of being the perfect 1950s suburban housewife is shattered when an uncontrollable event changes her life forever. Vivian struggles with low self-esteem as well as stage fright but with the support of Babs’ lovesick brother, Stew, and the creator of Tupperware’s Home Party Plan system, Brownie Wise, she may just find the strength to conquer her inner demons and take control of her life. My Review: I really enjoyed reading about Vivian Lawson, a 1950s suburban housewife. An inspirational journey about one woman who rose above marital problems and a heartless mother to become a very well know Tupperware lady. Things started to fall apart one day for Vivian when she stayed up waiting for her cheating husband to return from work to celebrate their anniversary, only to turn up very late. In the morning, her husband Paul broke the news to her that he was leaving her for another woman. Devastated and broke with the bank taking her house and unable to find work, Vivian found herself living with her best friend Babs and her brother Stew who suggested that she become a Tupperware lady. This is a well written novel by Arthur Wooten, showing the strength of Vivian Lawson from heartbreak to redemption and finding true love. This novel is truly a leftover you just can’t help but to pick it up again and again to read. I highly recommend this book for every household with a woman living in it. Giveaway Ends April 15th, 2012. 1. Mandatory: First leave a comment about the review below. Leaving a helpful comment relating to this book would be appreciated and valid to the giveaway. I was a single mom for 9 years before I met my husband. How I managed to keep us out of the projects (where I grew up) is beyond me. Now that I’m married and in a better financial situation I love helping single mom’s out in my community. I network with other business owners and work together to show these women that they DO have the strength to keep going, no matter how dire their situation seems. Like all women I love stories of empowerment. I also enjoy reading about the 50’s and how different a woman’s world was then. Being a single Mom to 7 after my divorce more or less pushed me into being Positive and realizing that only I myself could get me through. I used to go to a lot of Tupperware parties way back when. 🙂 I commented on the interview. I was a child during the fifties and remember so much from them. So many women stayed home to take care of the house and the children. They were discouraged from getting jobs. The man was supposed to be the breadwinner. But that really hurt women if their husbands left the family. because men were picked first for the jobs. I have memories too of Tupperware. My Aunt Bonnie introduced us to it. With the different colored plastic containters that burp when you seal them, a woman could earn a little bit of money to feed the children. They had four children and not much money so she was very grateful to do the Tupperware parties. The title itself got my attention, and this book sounds like something a little different for me. I always enjoy reading something different, and your honest review make it sound like something worthwhile! 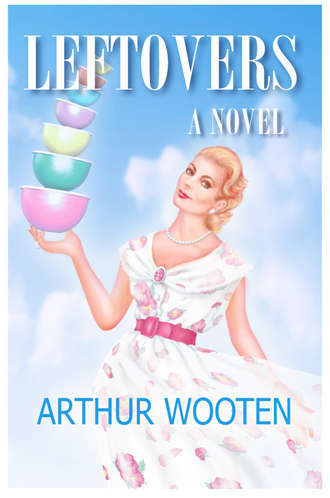 There are so many appealing aspects of this book according to the review – a woman who finds her strength, the 1950’s setting and Tupperware – I remember those pastel bowls on the cover from my mother’s kitchen. Vivian sounds like a strong and determined person. I look forward to reading about the early days of the Tupperware company.